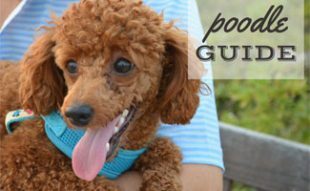 Home > Training > Breed > Extinct Dog Breeds: What Are The Numbers? England is facing a significant drop in native dog breed registrations, so much so that one breed in particular is “facing extinction.” In this article we will take a look at the dwindling registration of native dog breeds and the increase in exotic breed registrations that are currently taking place in England. The number of purebred English Setters in England is measured by the number of new puppy registrations that take place each year with the UK Kennel Club. 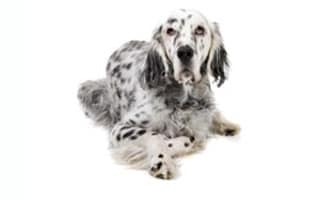 In 2011 the English setter had only 210 new dog registrations, when a dog breed drops below 300 annual registrations it is considered to be at risk of extinction. The English setter is not the only breed at risk however; the otter hound is actually one of the most at risk dog breeds and had only 38 registrations in 2011. What does this drop in numbers actually mean? It does not necessarily mean that the dog breed itself is becoming extinct, but it means that it is either not being registered with the UK Kennel Club or it is simply no longer a popular breed in its native land. As mentioned above the most vulnerable breed for the 2011 year in the United Kingdom was the otter hound with just 38 new puppy registrations. The Skye terrier came in second with just 44 new puppy registrations. The field spaniel received 46 new puppy registrations. The Sussex spaniel had just 52 new puppy registrations. The curly coated retriever had 62 new puppy registrations. The Sealyham terrier had 63 new puppy registrations. The Glen or Imaal terrier had just 67 new puppy registrations. The smooth collie had 75 new puppy registrations. The English toy terrier had 95 new puppy registrations. The Dandie Dinmont terrier had 98 new puppy registrations. Finally the Lancashire heeler had just 98 new puppy registrations. Why Are Registration Numbers Going Down For Native Breeds? While the numbers of many native dog breeds are dwindling in the United Kingdom, the number of more exotic breeds is increasing exponentially. Some of the more popularly owned dogs now include huskies and Chihuahua’s. One of the reasons why these more exotic breeds have become so popular in the past few years is thought to be the celebrity effect. While celebrities like Paris Hilton carry their small Chihuahua’s around in their purses, many people see that as a status symbol and want to join the trend of carrying around a small dog. In this case, the English setter stands no chance at all, because there is just no fitting this big boy in a purse! When it comes to other “new” popular breeds like huskies, it is thought that a great deal of their popularity comes from their appearance in the media. Increasing numbers of films are being released that feature these more exotic dog breeds and this always leads to an increase in breed registration for the breed featured in a popular film. There are a number of problems that come with the increased registration of exotic dog breeds. One of the most significant problems comes in where the “trend” or “fad” of carrying a small dog around becomes passé and the small dog is left to fend for itself. This is simply a gross injustice to the dog. Another concern comes in when individuals purchase dog breeds that they have seen in popular Hollywood movies. When viewing dog breeds in films, future dog owners fail to recognize that they are observing fully trained dogs that are showing their best behavior from all of the footage that was captured for the film. These movies do not show the negative behaviors or intensive needs of these dog breeds and often ends up giving new pet owners the shock of a lifetime when they bring their new dog home. Another concern over the increase of exotic breed registrations is the simple fact that the dogs are an exotic breed to the United Kingdom. While many dog breeds are able to adjust and adapt to new environments relatively easily, this is not always the case. Some dog breeds simply will not thrive in the United Kingdom as they would do in their native country. It is also important to note here that when bringing in an exotic dog breed, very few people conduct the amount of research that is necessary to understand the foreign breed and ensure all of its needs are cared for. What Does This Decrease in Native Breeds Mean? The decrease in native breeds of the United Kingdom points to a loss of significant portions of the country’s heritage. Much as it would be if a native animal species were to die out, the loss of a native dog breed removes something from a culture that cannot be replaced. So how can you do your part? Try researching dog breeds that are native to your country and support responsible breeding programs for dogs that are a part of your country’s national heritage. Losing any species of animal is a considerable loss not only to the country that bred the species but to those who have attempted to support it even through the risk of extinction. 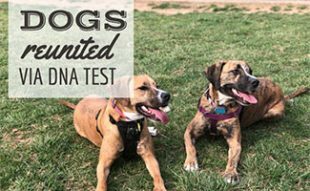 It is also important to educate family, friends and even acquaintances about native dog breeds and the dangers of succumbing to peer pressure and celebrity images of the more exotic dog breeds. In looking back over this article the distinction between native versus exotic breeds of dog is not one that is clearly defined. Below we will attempt to clarify what each of these terms means and to provide a few examples of each. What is a Native Dog Breed? The term “native” refers to something that is associated with a specific country or region or a being that was born or associated by birth with a specific area. Perhaps a better way to understand this term in this incidence is to use the word “indigenous.” A native dog breed is a dog breed that is indigenous to a specific area of the world. For example, the English setter is native to England, the Shiba Inu is native to Japan and the Afghan hound is native to Iran, Pakistan and Afghanistan. For the most part these native dog breeds were developed within a particular area as a result of a need for the breed to look or perform a certain way. For example the English setter was originally bred as a game bird in England by crossing the English springer spaniel, the Spanish Pointer and the large Water Spaniel. The purpose of this was to meet a demand for a highly skilled bird dog. The Shiba Inu of Japan was bred initially to flush out small game among the wild shrubs of Japan. The Afghan hound was bred to serve both as a hunting dog and as a guardian dog in the rougher terrain of Iran, Pakistan and Afghanistan. The thick long coat of this breed served not only to camouflage the dog in the desert but also to protect it from the temperature extremes of these areas. What is an Exotic Dog Breed? An exotic dog breed is exactly what it sounds like in contrast to a native dog breed. Exotic dog breeds are those dog breeds that are not native to a particular area; rather they were imported there at some point throughout history. Often, these dogs have to take on a modified role in their new environment or simply become obsolete in terms of being “needed.” In this type of instance exotic dog breeds become pets and show dogs. In some instances however, exotic dog breeds can find purpose even when transplanted to other areas of the world. A good example of this type of dog is the Labrador retriever. Initially bred to work in the freezing temperatures of the Labrador waters as they retrieved fisherman’s nets, this breed still thrives as a retrieval dog even when not swimming in freezing waters to retrieve. This breed is able to draw upon its natural instincts. It is important however, to notice some differences that begin to take shape in exotic breeds as they are moved further from their native home. As these breeds continue to be bred to other specimens than have been moved from their native home, they begin to display different sets of characteristics. These dogs adapt to their new role in a new environment and over many years these dogs eventually differ so much from the native breed that they are unrecognizable. This change may begin with something as simple as thinning of the coat for the Labrador retriever, but once the change begins these dogs continue to adapt the more they are bred outside of their natural habitat. 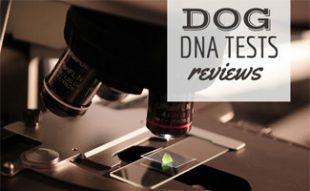 So Why Does It Matter Where a Dog is bred? There are those who don’t understand why it matters where a dog is bred because as the breed adapts they take on characteristics of a dog that is adapted to a new environment. While this adaptation does allow for the breed to thrive in an exotic location, it also serves to dilute the original breed standard. Eventually a dog that is bred repetitively outside of its natural habitat is going to take on so many foreign traits that it becomes an entirely different breed altogether. Still, why should that matter as long as the dogs are happy? The problem is though, that while the dogs may be happy taking on their new roles as exotic breeds there is a part of history that is lost and this dog no longer serves to be a noble representation of the “guardian of the Afghani flock” rather it becomes the neurotic but visually appealing dog called the Afghan Hound. While this may not matter to some, the work that went in to breeding hardy lines of healthy Afghan hounds is lost and for the true dog lover there is something almost heartbreaking in that fact. As non-native dog breeds continue to be bred outside of their native habitat the subtle changes that begin to take place in the breed are also of concern. 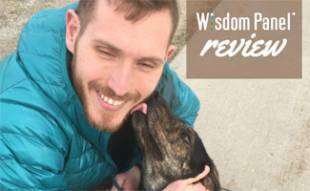 While these changes may start of slowly, over time the dog can become so drastically different that it is no longer a physically sound specimen and as a result the dog’s overall health will suffer. It is also extremely important to note that as these exotic breeds come in to new locations they become favored for their unique appearance and as such they tend to push out native breeds. As native breeds decline in popularity there is the potential for them to be pushed out altogether at which point these long lived genetic lines are terminated. Imagine it in terms of human cultures if you will, transplant one culture in to another and eventually you may experience that “foreign culture” taking over the native one. While this takeover may not mean the end of the world it certainly makes a difference to the area in question and to the history of those native people. Whether we are talking culture or dog breeds, the concept is the same. That isn’t to say that exotic breeds are a cause for uproar, but it is important that as dog lovers, we recognize the value of native dog breeds and we continue to support our local heroes as well as importing those unique foreign breeds that capture our eye. This was a very enjoyable read. Recommended for the dog lover. Glad you enjoyed our article!